It might be weird to say this is a new kid on the block. 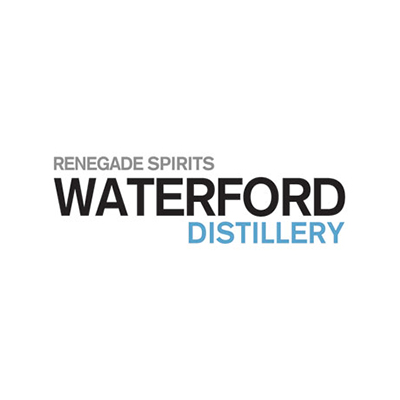 But the team behind Waterford is far from being new, Mark Reynier has a long background in the spirits industry. Former CEO of Bruichladdich, now the CEO and founder of Waterford he is set to change the view and perception of the production of whiskey. Based in Ireland and teaching local farmers how to grow barley. It may sound weird but with their approach to distilling and the ambition to proof that soil and micro climate have an impact on the flavours of your beloved liquid. Expect something new and a must visit, it will be a sensory tasting hosted by some whisky geeks who think they are on to something. We think they might be right and this is one of the very few opportunities you will have to experience this yourself. Curious? You should be, experience how important soil, location, type of barley really are. And yes let’s also throw in organic and bio dynamic as well. But these are not marketing terms or even a hype. This is serious and Waterford has the means to proof it. We can only say again: this is a must visit for a serious whisky geek. Sure old & rare whisky is great and the Gathering offers some unique bottles. But being able to try something new and exciting as this, it will be something to remember: we promise that! Get yourself a ticket and bring along a friend who thinks he tasted it all. Don’t be shy, you can ask any question you want during the session. The geeks who will host the tasting do know what they are talking about. Head distiller Ned Gahan and distiller Ian O’brien have a track record in the business. Knowing the bits and bolds of whisky producing is one thing, but once they start talking whisky, passion and geeky facts will be thrown on the table . These whisky geeks can’t stop talking about their adventure and it is a unique opportunity to be part of this.